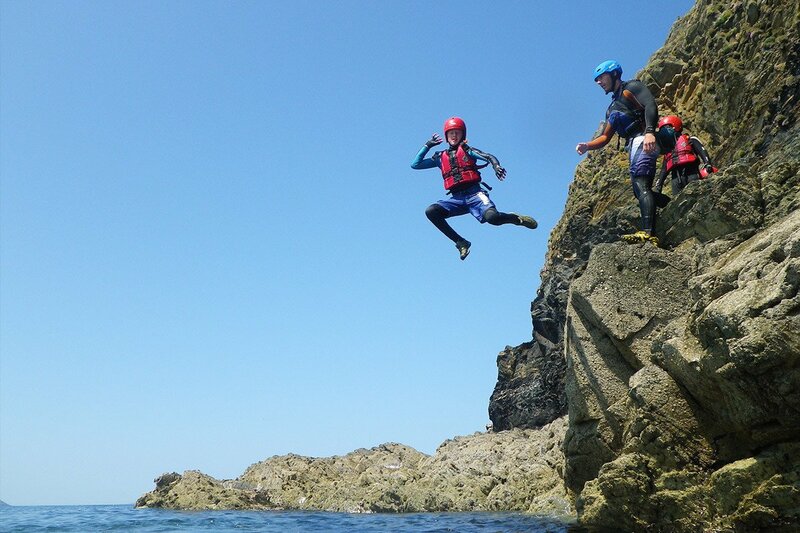 Celtic Quest guides are not just coasteering specialists, they are also experts at having FUN! You know all those things your parents told you not to do at the beach…. 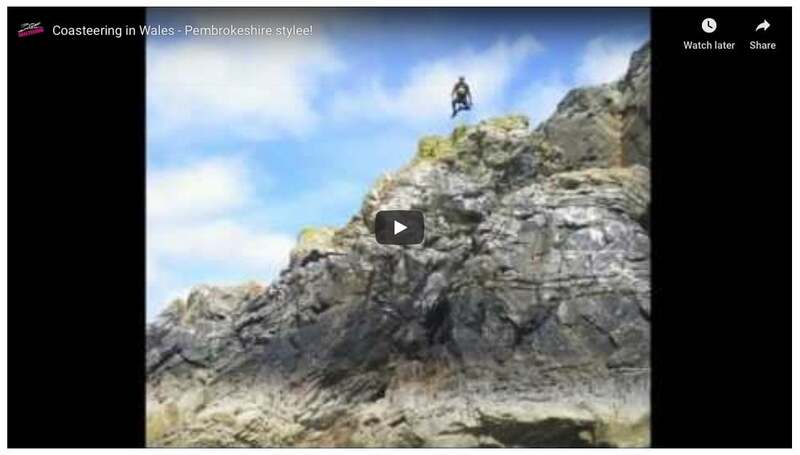 scrambling climbing on the rocks, wave dodging, rock hopping, playing in the water features, cliff jumping…. 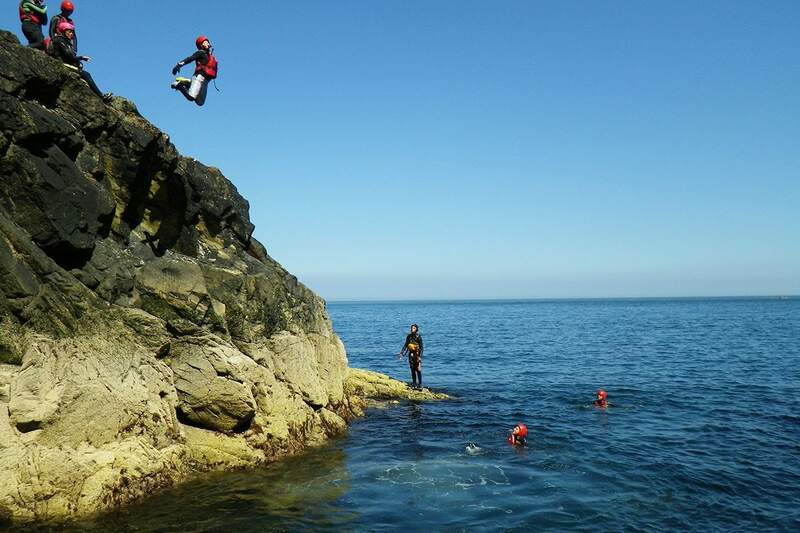 well that’s coasteering. 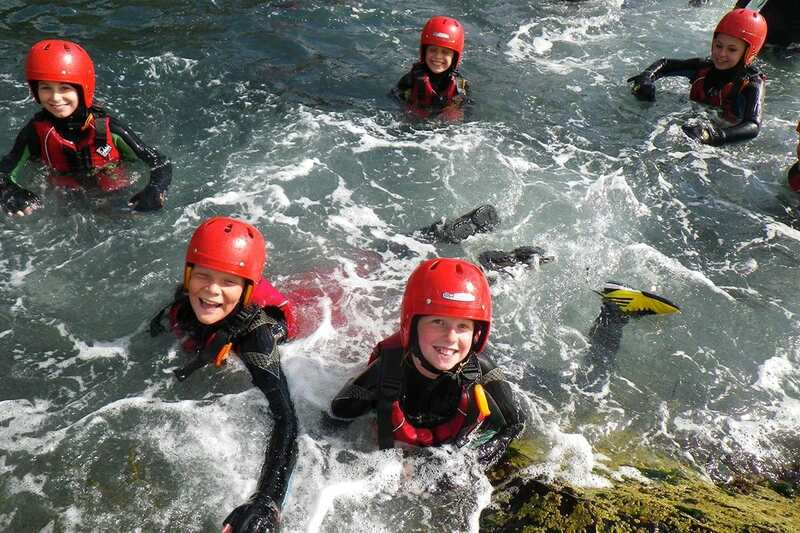 An ideal day out for scouts, youth groups, schools, birthday parties, cadets, rugby clubs and more. 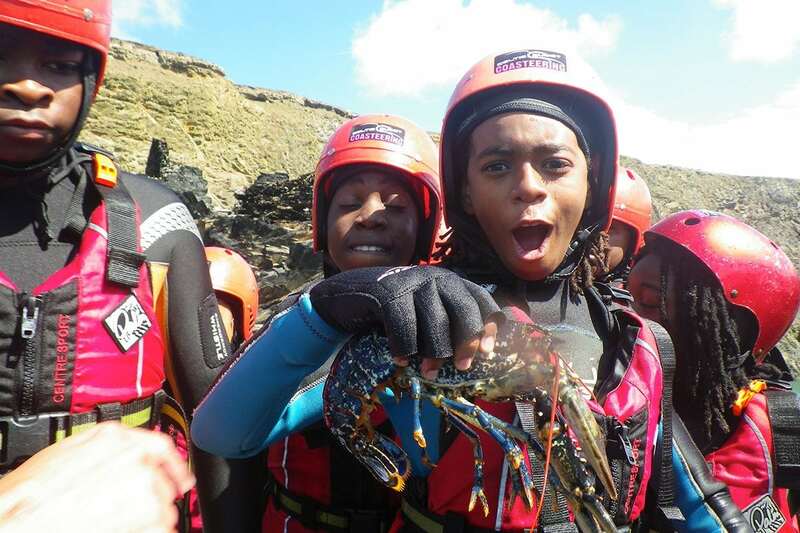 Licensed by the Adventure Activities Licensing Authority, safety is our top priority…. coming in a close second is FUN!! Jumps range from zero to 35ft, all jumps are optional. How high will you go? 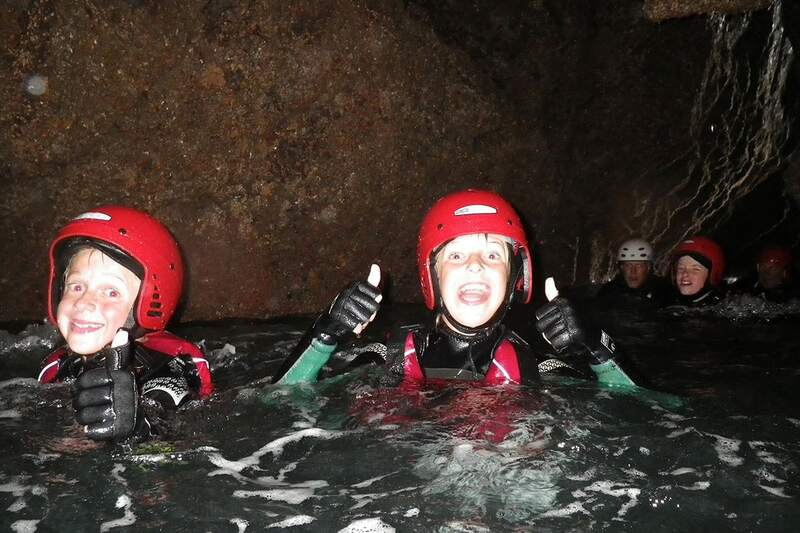 Explore caves & hidden coves in Pembrokeshire. 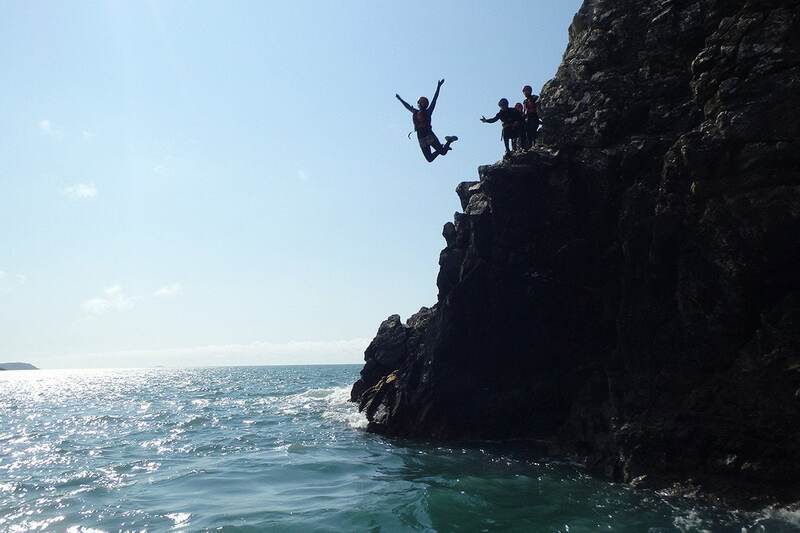 The Pembrokeshire coast has lots of natural water features to play in! 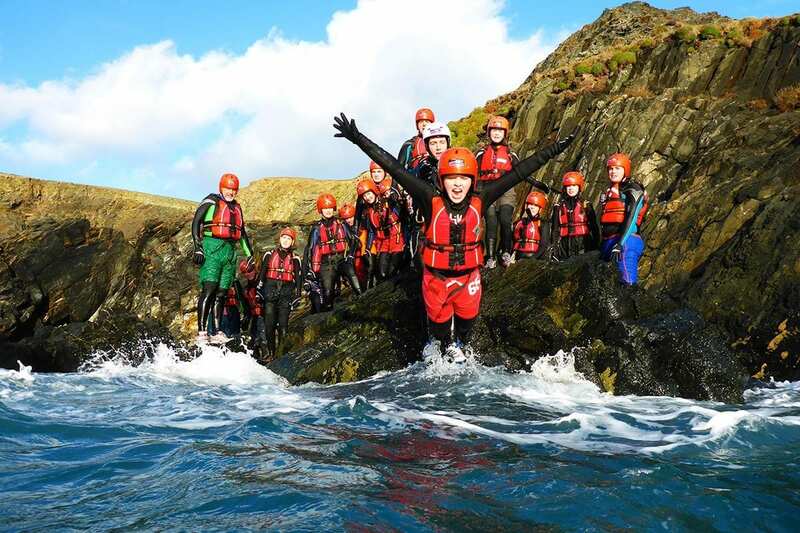 See the Pembrokeshire coast from a whole new perspective! 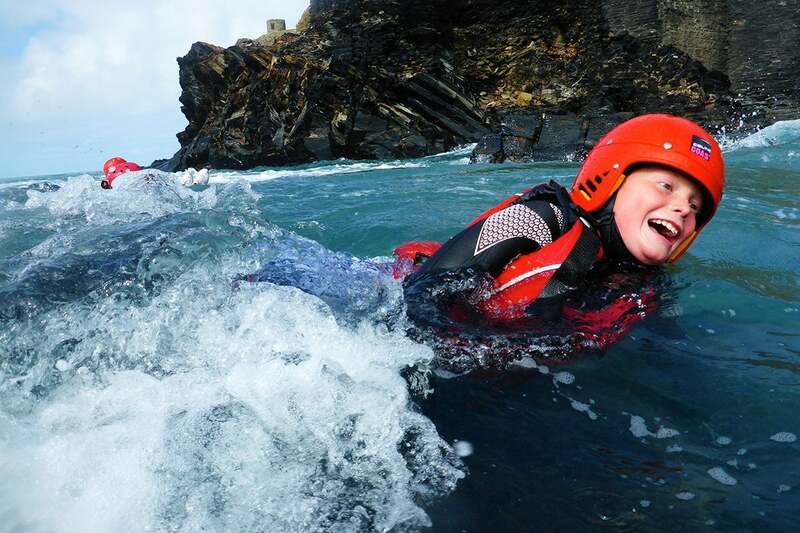 Our super floaty Coasteering kit means you don't even need to be a strong swimmer! As a guide our minimum age is 8 years. 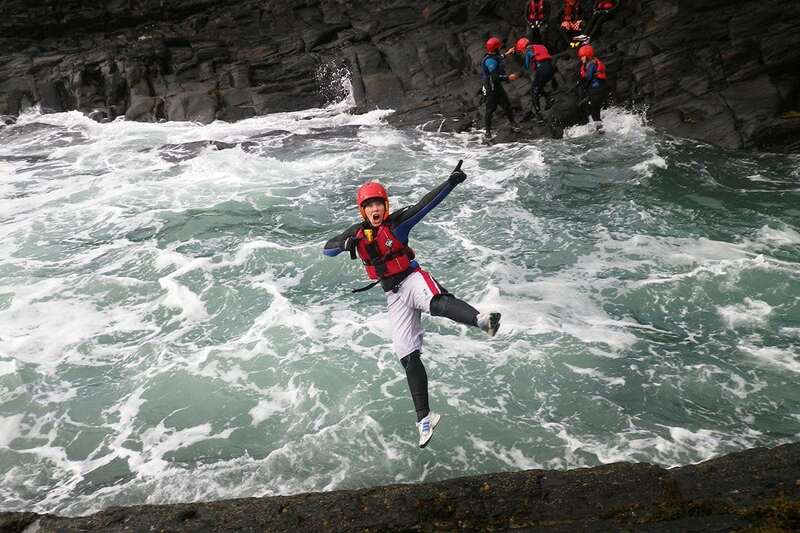 We have taken a number of 6/7 year olds, however they need to be comfortable in water and scrambling across rocks. 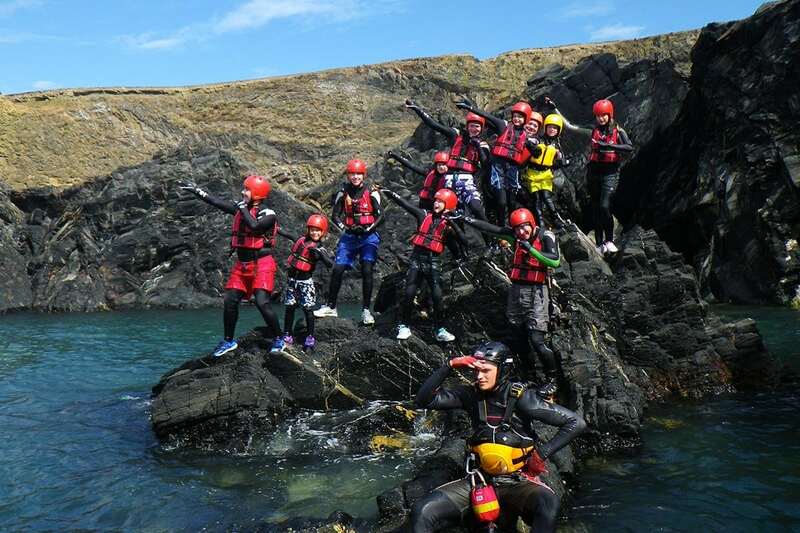 We have no minimum group size, individuals and small groups are welcome, we can also accommodate larger groups. Really dedicated, expert guides who, with the mixed group of younger and older adults, children, males and females, made it a really fun day. The amount of jumps and coast they covered was phenomenal. 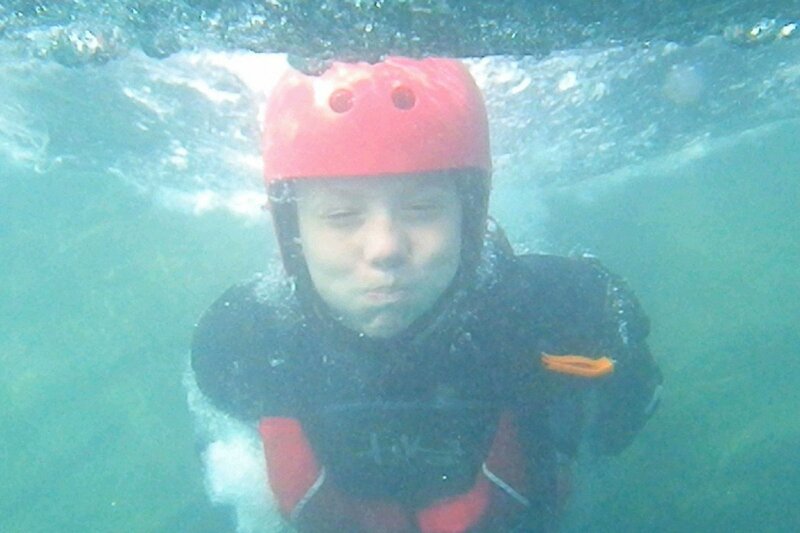 The educational aspect was unexpected and probably priceless - how to jump if you're not sure how deep the water is, swimming techniques, etc. We tracked the group all the way along the coast and took tons of photos. Attached are some photos especially for Ed, one of the guides. 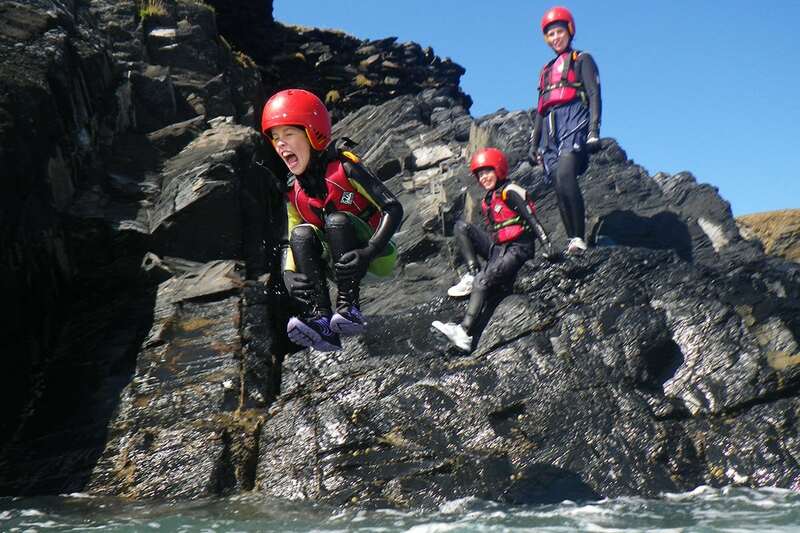 "Easy to book and great fun"
I booked our three 11 year old girls on to the Coasteering which they thoroughly enjoyed. 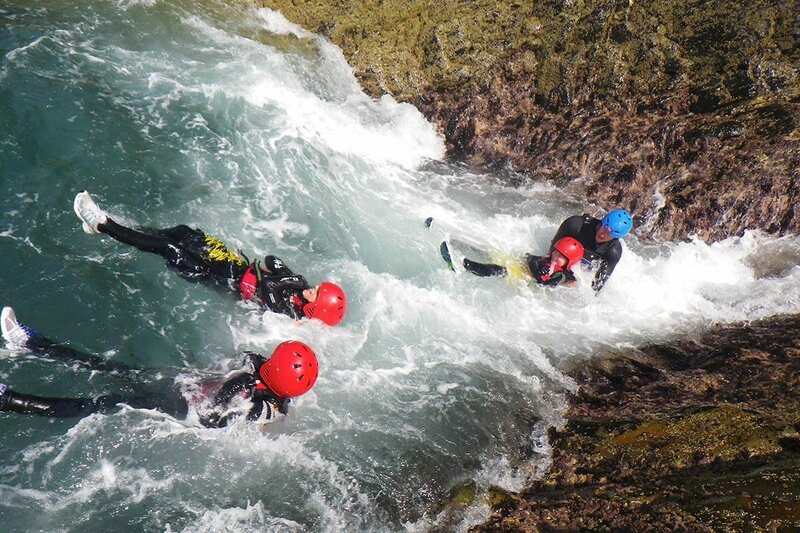 The instructors were nice and funny and made them very at ease. My girls did so much more then I was expecting them to and the session was really long which was great and they were warm and well looked after. You could buy the pictures on a memory stick afterwards and they were fantastic quality and well worth the £10 especially with for 3 of them. The girls said it was their favourite thing to do on holiday and I wouldn't hesitate in taking them back again. 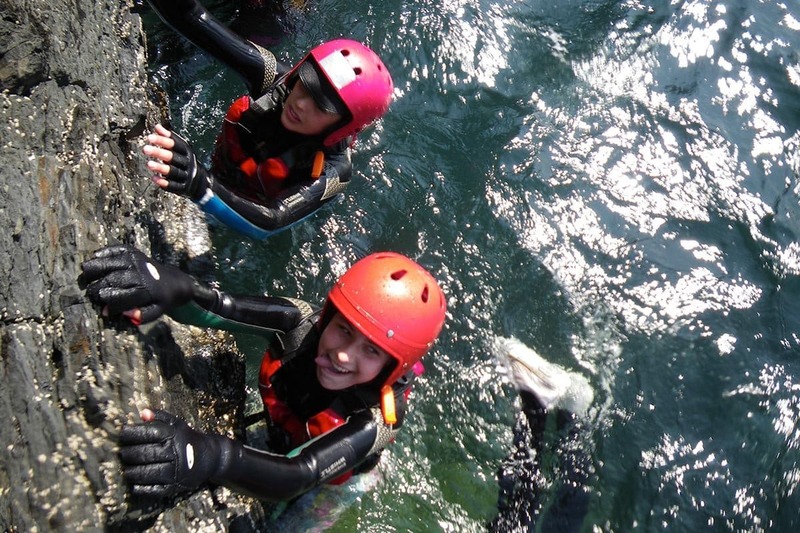 I am pleased we chose Celtic Quest as I felt very confident from booking through to the session itself especially from a safety point of view. It was also great fun to watch.